Awesome location! Custom 3/2 , right off HWY 180. This home sits on approx. 7 acres of rolling oak studded hillside, has highway frontage, and a private access from side road. The home has 2 living areas, attached garage, fireplace, and sun room. 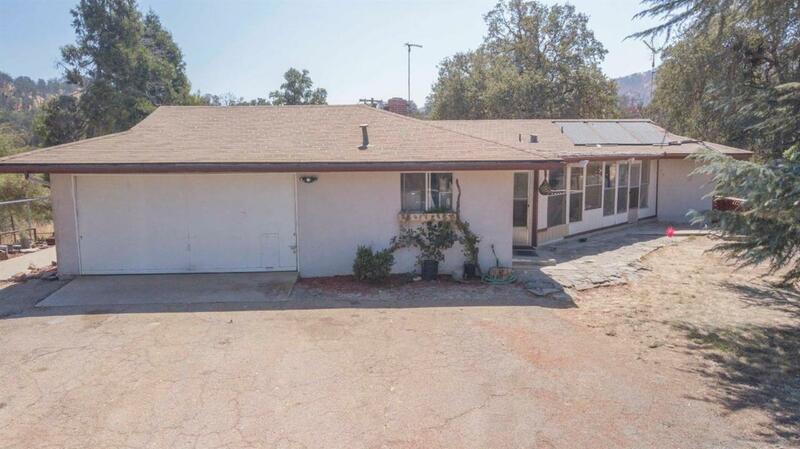 This property has been used for horses, has beautiful mountain views, and much potential. Enjoy an exceptional commute to the Central Valley, as well as being about 30 minutes from Kings Canyon Sequoia, or Miramonte/Pinehurst, also close to gas, groceries, and restaurants. This rare property has tons of potential, including Air BnB.